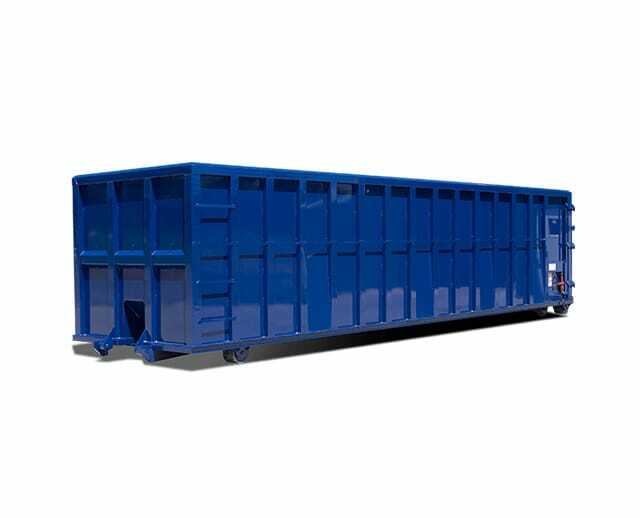 The 40 cubic yard 3 ton max construction dumpster is ideal for extensive large-scale construction and maintenance cleanup tasks. The construction dumpster can hold up to 3 tons of materials (6,000 lbs). Its open top design makes it easy for workers to dispose of waste. The roll-off wheels are designed to function with roll-off truck beds for better transportation.Typical uses include clearing demolition areas for debris and rubble, or clearing waste from buildings undergoing renovations.